The Juke has been a surprise sales hit for Nissan, and to keep it fresh it’s been given the mildest of nip-and-tucks for 2014. The most obvious change is the headlamps, which now sport a little reverse flick at their leading edge that’s reminiscent of the Nissan 370Z sports car and underneath their lenses carry brighter Xenon bulbs and LED daytime running lights. Other than that, it’s a case of spot the difference: new wheel designs, LED indicators in the door mirrors, altered bumpers and revised tail-lights are among the chief changes. The bright ‘Sunlight Yellow’ paintwork in the car pictured is one of three new exterior colours available, while a range of optional personalisation packs will be available allowing owners to choose different shades for the mirrors, sills and wheel inserts should they wish. Apart from the gentle makeover, the Juke has had a few engineering tweaks too. A new 1.2-litre turbocharged petrol engine is available, replacing the non-turbocharged 1.6-litre petrol engine of the old Juke. 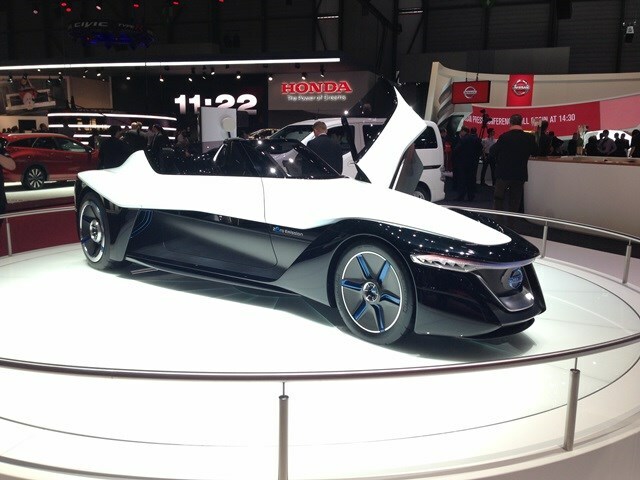 It emits 126g/km of CO2 and can average a claimed 42.7mpg. The existing 1.6-litre DIG-T turbo petrol engine has been fettled too for greater low-down torque. What’s more, Nissan has redesigned the boot space in two-wheel-drive models, allowing as much as 40 percent extra luggage volume. 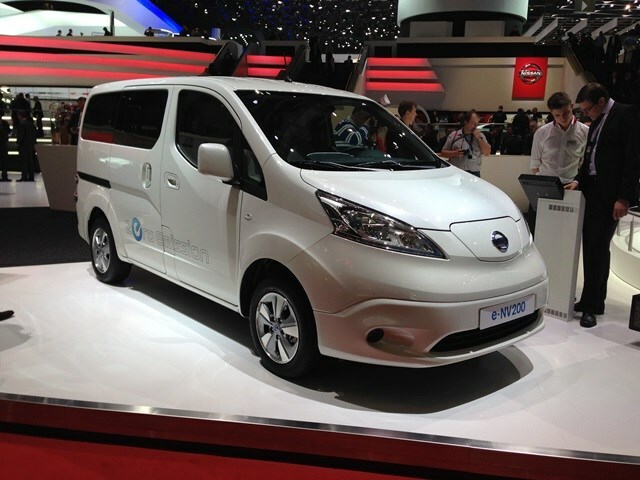 On the equipment front, there’s the latest version of the NissanConnect smartphone and mp3 player connectivity system (with a 5.8-inch touchscreen and Google-connected sat-nav system), a greater range of active safety options from Nissan’s ‘Safety Shield’ range, an improved audio system and the option of an opening glass roof. 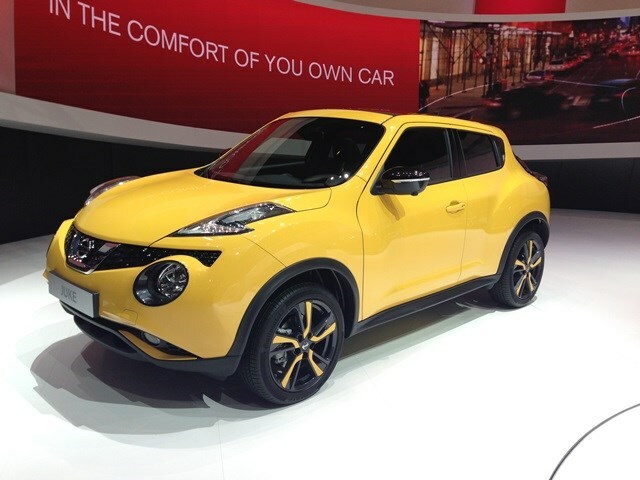 The facelifted Nissan Juke is scheduled to go on sale across Europe in summer 2014. If you’re one of the few people in the world who finds the regular Nissan GTR just a little bit lacking in performance, this is for you. have been tinkering with the already cartoonishly fast GTR to release more power from its 3.8-litre twin-turbo V6 (taking it to a total of 592bhp) and create more aerodynamic downforce at speed. One of the car’s major selling points is a seriously impressive lap time around the famous Nurburgring Nordschleife circuit in Germany. Set by German racing driver Michael Krumm, it completed the circuit’s 21km and 73 corners in seven minutes and eight seconds, a faster time than many racing cars. 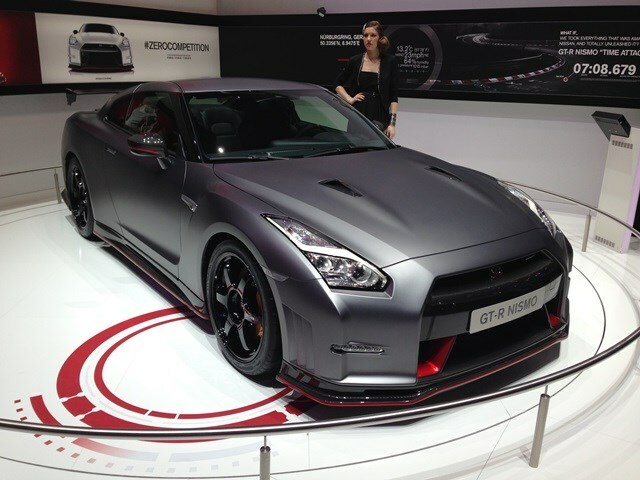 This year’s Geneva show is the first time the GTR Nismo has been officially displayed to the public in Europe. It’s already available to buy in Japan and goes on sale in Europe in September 2014. The GTR isn’t the only Nismo model on the Nissan stand. When Nissan announced there would be a Nismo version of the little Juke crossover back in 2012, many imagined a powerful pocket-rocket road car. In reality, the Juke Nismo turned out to be a competent and likeable but rather lukewarm machine. The new RS model is a spicier proposition, with a useful extra 18bhp and 30Nm of torque from the same 1.6-litre turbocharged petrol engine taking total power output to 215bhp. 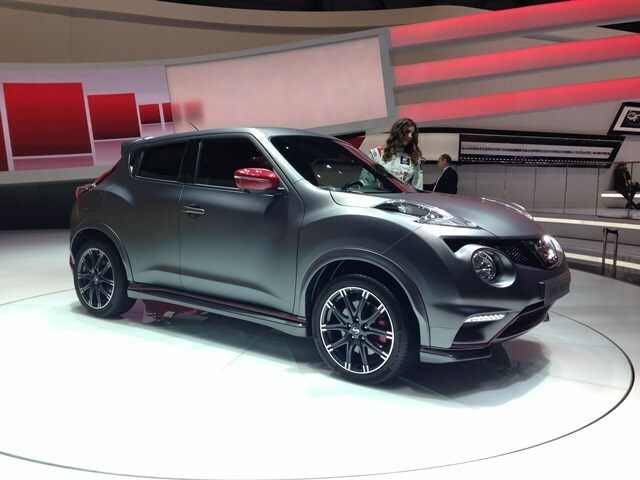 Like the regular Juke Nismo, it’s available with either two- or four-wheel drive. Front-drive models benefit from a limited-slip differential, helping the Juke to put its extra power down cleanly. All-wheel-drive models get a torque vectoring system and a CVT automatic transmission. As well as more go, the RS gets more stopping power too with larger brakes said to be designed to resist fade more readily under prolonged hard use. The bodyshell has been strengthened and the suspension settings revised, too. As per the existing Juke Nismo, there are three colours available: white, black or grey with the trademark Nismo red pinstripe detailing. The RS can be told apart from the regular Juke Nismo by red brake callipers as well as various RS badges around the interior and exterior. Back at the launch of the regular Nissan Juke Nismo, we had a (admittedly very brief) drive in a pre-porduction prototype of the Nismo RS. If that car’s perkier throttle response, extra power and more feelsome steering are anything to go by then the new model should be a significantly faster and more rewarding car to drive than the regular Juke Nismo. Based on the pioneering Deltawing race car, this concept once again shows off the radical thinking that wheels at the front don't need to be spaced so far apart. This is the taxi of the future. Both London and New York have agreeed to take this vehicle on to replace the black cabs and yellow taxis the cities were famous for in the past. In electric format it uses technology the firm has gained from the Leaf.